Click on the underlined place name in this interactive map to perform a search of all records that concern the corresponding place. 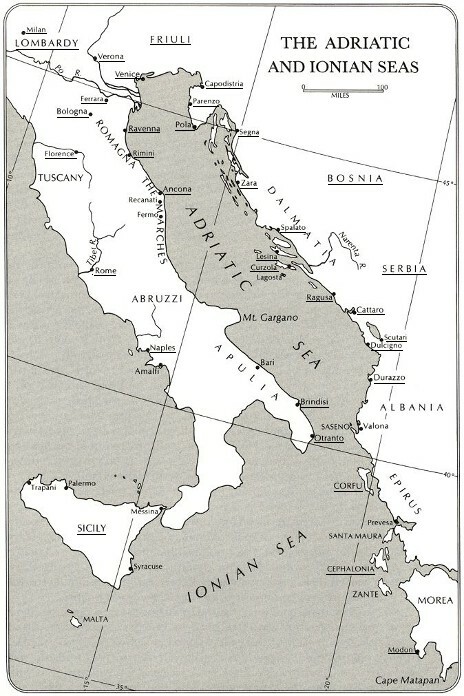 MAP CREDIT: Frederic C. Lane, Venice: A Maritime Republic (Baltimore: The Johns Hopkins University Press, 1973), p. 25. Reproduced with permission.